Photographer’s notes: This has to be the reason for the second-hand bike market. Bringing somebody back to a bike, a new cyclist after having been off the bike since their childhood. It seems so odd to me, to chat with people who have not ridden a bike in their lives, or have been off the bike for decades. Riding a bike seems such natural way to get around when in the city. 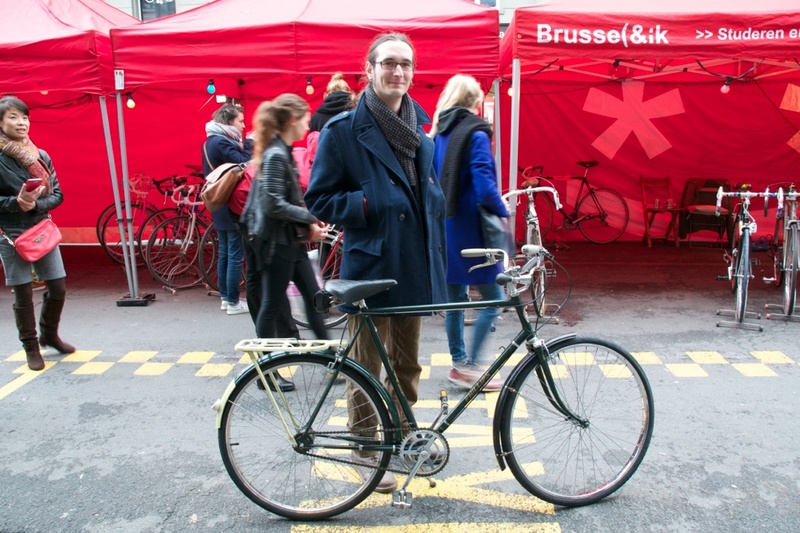 This entry was posted in city bike, commuter, Education, Europe, event and tagged 2015, Belgium, Brik, Brussels, October, Phillips bikes. Bookmark the permalink.